Peruvian - Black Magic was one of Stachowski's 50/50 Signature Herd Sires, winner of Pennsylvania Breeders' Choice Get of Sire. 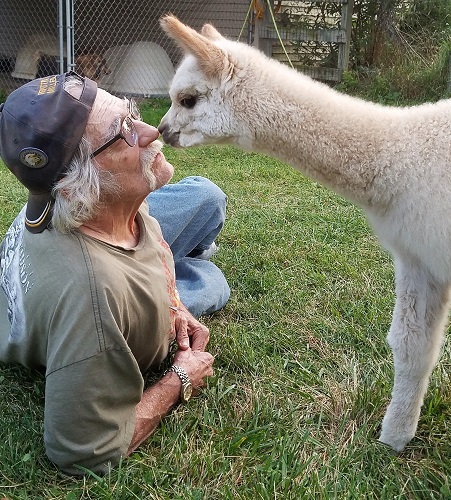 He was from the Sollocota region of Peru and commanded a $5,000 stud fee. 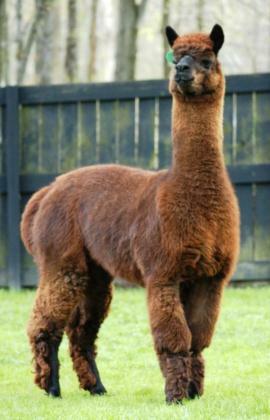 Peruvian - Per Stachowski: Peruvian Zegna is densely covered in fiber with the markings of a vicuna. She is well conformed with solid bone and alert stance. Zegna has a history of Black and Grey offspring. She has produced two blacks and one dark silver grey, throwing the color of the stud. When bred to Peruvian Silverado, she produced a Dark Silver Grey male, SA Peruvian Zalt 'N Pepper. 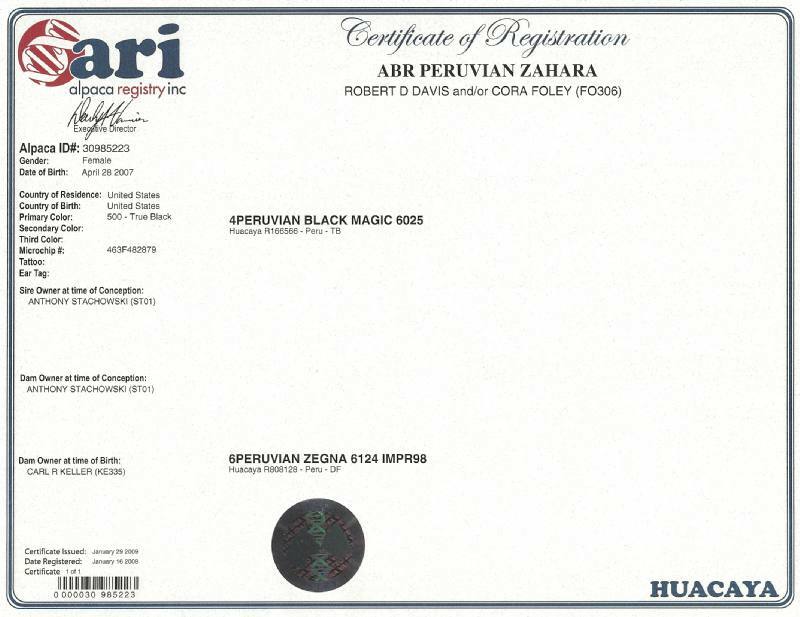 Her breeding to Peruvian Black Magic produced ABR Peruvian Zahara, a true black female with enviable fiber coverage down her straight legs and on her face. Zahara - jet black with the feel of velvet, voted best Huacaya in the 2008 Breeders' Cup Auction when we bought her from Anthony Stachowski. Her sire is the well known import Black Magic, no longer breeding as of 2009. Zahara is a real sweetheart with a delightful curious nature. 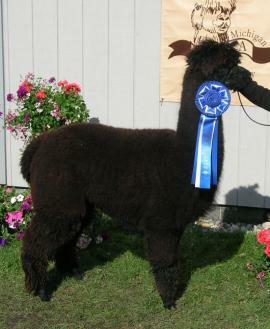 She was bred in 2009 to another of Stachowski's elite imports, Camelot for a 2010 cria. 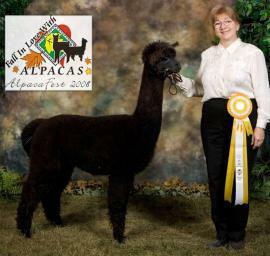 She produced a gorgeous brown male named Tealwater Magi of Camelot who was shown in 2011. With both her parents being Dr. Stachowski's hand-picked imports, Zahara was purchased to be our foundation black huacaya. She was shown twice. First at the competitive OABA show, a level V, in a class of 11 true black yearlings where she placed 5th. 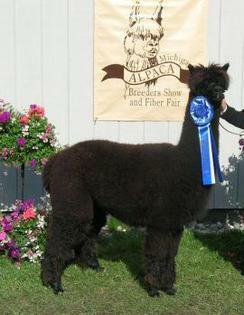 She was shown again at the Michigan Breeders Show in May 2009 taking 1st. The competition for Color Champion and Reserve Color Champion was very close at this second show. So close that the deciding factor between Zahara (the oldest competing) and the Reserve was based on how far down around the belly their crimp remained consistent. Zahara was edged out on that basis, but Judge Kathy Klay shook my hand after awarding the Reserve commenting on what a fine quality female we have in Zahara. We bred Zahara to our Rose Grey stud Sir Arik and had a fine true black female born 2013 named Samantha, with the curious nature of Zahara, and the calm confidence of her sire, Sir Arik. 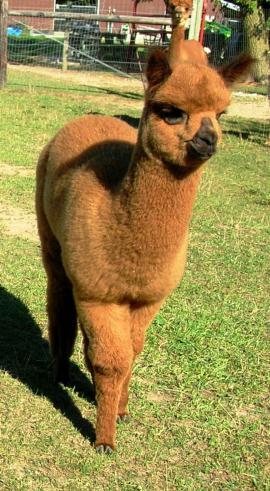 Look for Zahara's offspring to add high-end dark huacaya genetics to your breeding program! 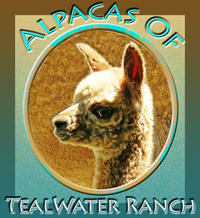 Cash, transport/delivery is available within 60 miles of Tealwater Ranch; beyond 60 miles is the responsibility of the buyer.